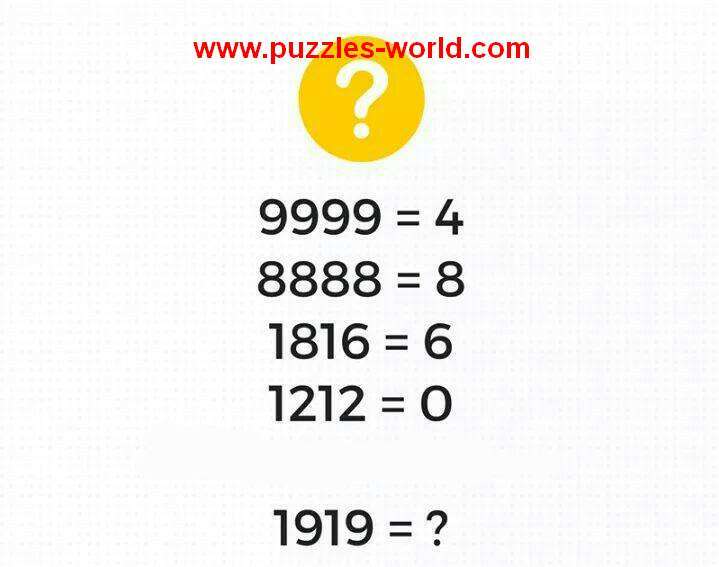 Logic Number Puzzle If 9999 = 4 then 1919 = ? 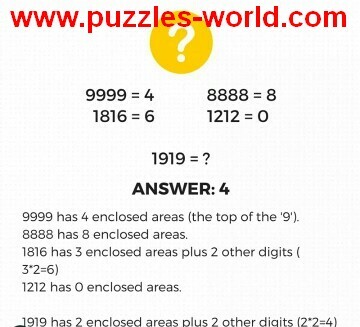 Can you find the answer. Share on whatsapp groups and see if you can find the answer. 9999 has 4 enclosed areas. 8888 has 8 enclosed areas. So, 2x2=4 is the answer.